Blanche Marshall (nee Scharp) became the owner of 40 Carlsberg Road in 1936 and arranged for her friend and former employer Edna Walling to prepare a garden design around her new home. Trained as a pharmacist, she had met Walling in 1926 and later became her book keeper. She once lived with Walling at Sonning and in 1928 owned land at Bickleigh Vale, which she later sold back to Walling. After Blanche's marriage in 1929 her family often visited Bickleigh Vale at Mooralbark, and 'Aunty Edna' became godmother to her daughter Jane. The garden Walling designed for the Marshalls was a fitting style for the simple unostentatious house. In many ways it is similar to the garden designs at Bickleigh Vale, which Walling commenced in the 1920s and where Blanche Marshall once resided and was a regular visitor. There were fewstructures, only a set of steps, stone retaining wall and garden bed edges, smallconcrete pond, gravel driveway, stepping stones and flagstone paving. Eric Hammond was engaged as the landscape contractor for the stone work and planting, and Ellis Stones constructed a rock outcrop. All the garden beds curve and grassy glades disappear around corners. The placement of beds, shrubs, trees and lawn spaces creates a garden with a sense of mystery. Forget-me-nots, bulbs and hellebores are allowed to define the pleasantly vague edges between garden and lawn. Halfway down the garden amongst the flowering shrubs is a single room studio. Although it was not shown on the 1936 plan it was designed by Walling and built by Stones. The rich brown vertical timber boards of the cabin with its tiny wooden porch, white windows and brick chimney creates a charming picture. The building is in a similar style to The Barn which Walling built at Bickleigh Vale. Blanche Marshall determinedly preserved the informal spirit of the garden and was obviously a great student of Walling. 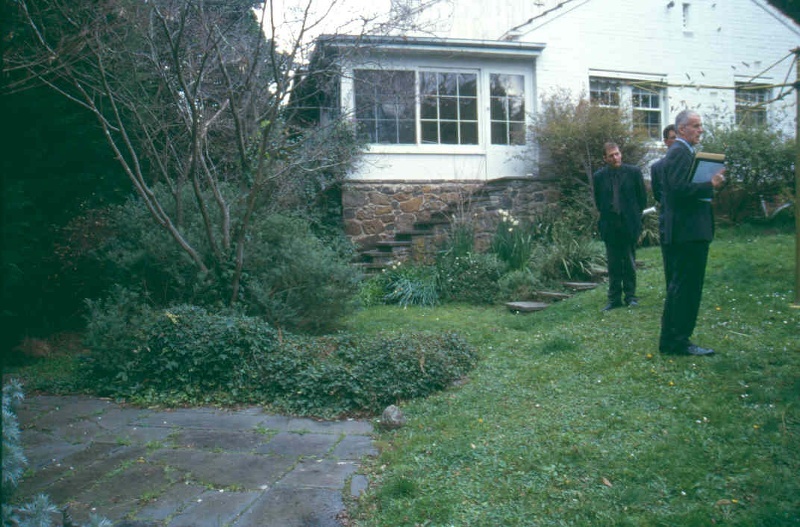 Marshall's daughter reported in 1986 that the garden had remained largely unaltered since its construction. Nearly all the plants in the garden are those favoured by Walling and their friendship over a long period saw Walling continue to provide advice for almost 40 years. The Marshall Garden is historically significant as one of the earliest and an outstanding example of the informal cottage style of the notable garden designer Edna Walling.This informal design approach was adopted in the 1920s by Walling for her own homes at Sonning, The Barn and other properties in the Bickleigh Vale complex. Walling is considered to one of Australia?s most important and influential landscape designers of the twentieth century and was the most prolific designer in Victoria. She was also a popular writer, talented photographer and important landscape critic and conservationist. The long period of ownership by the Marshall family from 1936 to 1988,the close friendship withWalling and her lengthy involvement have resulted in one of the finest and best preserved gardens from Walling's earliest design period. 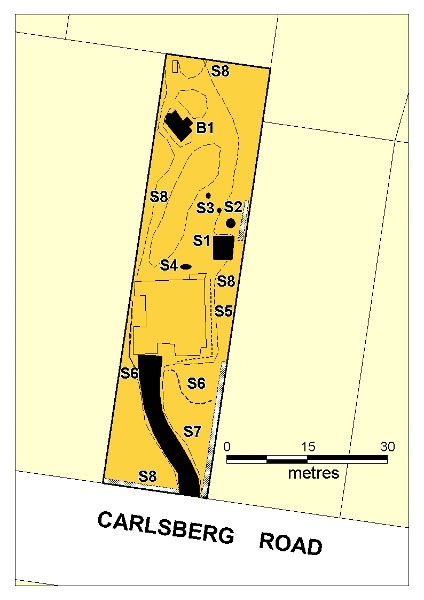 Retention of most of the original structures and landscape character formed by the extensive use of Walling's favourite plants has few comparisons. 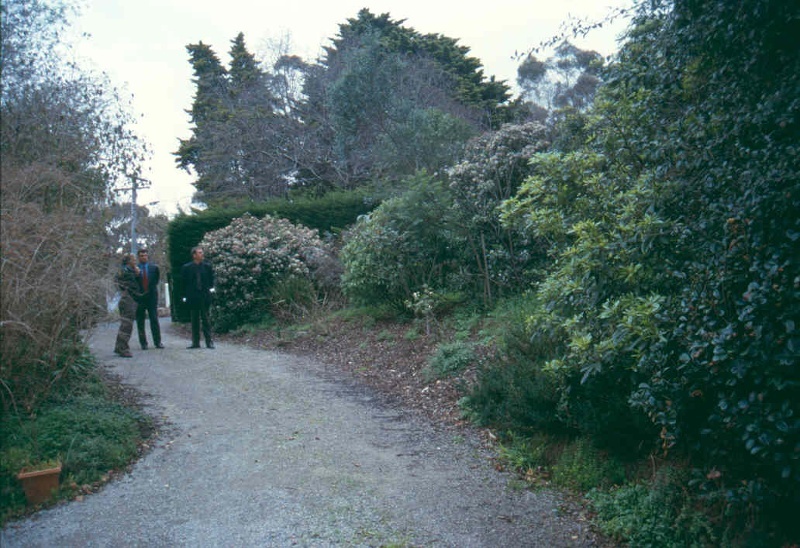 The garden also includes the work of Eric Hammond and Ellis Stones, who both became prominent in the landscape industry and are associated with other important garden designs in Victoria, including a number of Walling gardens. 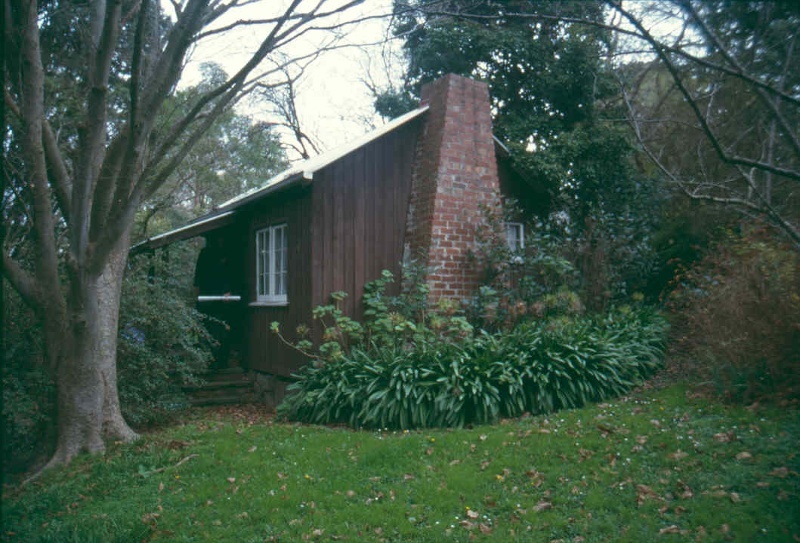 The timber studio designed by Walling and constructed by Ellis Stones is the only known building in Victoria to have involved these two specialists. The Marshall Garden is of aesthetic significance for an exceptional design response to a narrow suburban allotment. With limited space, Walling created a garden landscape which feels much larger and provides a surprise element by carefully positioned stepping stones and paving, curved beds and sweeping lawns which lead the visitor to a new garden experience. The range of trees and shrubs, densely planted shrubberies and cypress hedges, form a plant display of contrasting foliage, form and colour contributing significantly to the garden's visual quality and experience. The Marshall Garden is of scientific (horticultural) importance for the extensive use of a large number of taxa popularised by Edna Walling. The absence of later plantings and the almost intact palette of Walling plants is now rarely seen in other gardens designed byWalling. This exceptional collection of plants has much to do with the discipline of Blanche Marshall and almost 40 years of involvementwith Walling. Many of the plants became 'Walling signature plants' including Acer, Acmena, Betula, Camellia, Chaenomeles, Chimonanthus, Crataegus,Cotoneaster, Erigeron, Helleborus, Malus, Nandina, Pittosporum, Philadelphus, Spiraea, Viburnum, Ulmus parvifolia, bulbs and perennials. Also of horticultural interest are the rare Alectryon excelsus and Viburnum suspensum, an unknown Spiraea, Berberis, two Crataegus, Lonicera, and unknown shrub. Near the studio is a fine specimen of the uncommon Zelkova serrata. Crataegus pubescens f. stipulacea ? Escallonia rubra var. macrantha ? 4. All the land markedon Diagram 1962 held by the Executive Director being all of the land described in Certificate of Title Volume 6015 Folio 1202860 being Lot 2 on Plan of Subdivision No.14042 and part of Crown Portion Two Parish of Keelbundora. General Conditions: 1. All exempted alterations are to be planned and carried out in a manner which prevents damage to the fabric of the registered place or object. General Conditions: 2. Should it become apparent during further inspection or the carrying out of alterations that original or previously hidden or inaccessible details of the place or object are revealed which relate to the significance of the place or object, then the exemption covering such alteration shall cease and the Executive Director shall be notified as soon as possible. General Conditions: 3. If there is a conservation policy and plan approved by the Executive Director, all works shall be in accordance with it. General Conditions: 4. Nothing in this declaration prevents the Executive Director from amending or rescinding all or any of the permit exemptions. General Conditions: 5. Nothing in this declaration exempts owners or their agents from the responsibility to seek relevant planning or building permits from the responsible authority where applicable. Minor repairs and maintenance which replace like with like. Treatments to stabilise and protect timber, metal and masonry structures. Painting of previously painted walls and ceilings provided that preparation or painting does not remove evidence of the original paint or other decorative scheme. Installation, removal or replacement of curtain track, rods, blinds and other window dressings. Installation, removal or replacement of electrical wiring provided that all new wiring is fully concealed and any original light switches, pull cords, push buttons or power outlets are retained in-situ. The process of gardening, hedge clipping, removal of dead plants, emergency and safety works and replanting in accordance with the Edna Walling landscape character. Management of trees in accordance with Australian Standard, Pruning of amenity trees AS 4373. Repairs, conservation and maintenance to hard landscape elements. Installation, removal or replacement of garden watering systems. The significance of the Marshall Garden is the informal cottage style conceived by Edna Walling and the random collection of plants, trees, shrubs, perennials and bulbs, and cypress hedges, nurtured by Blanche Marshall over a period of almost 40 years. The one room timber Studio and the collection of hard landscape elements, Ellis Stones rockwork are integral to the garden design and significance. The brick house is not significant and may be altered or demolished.